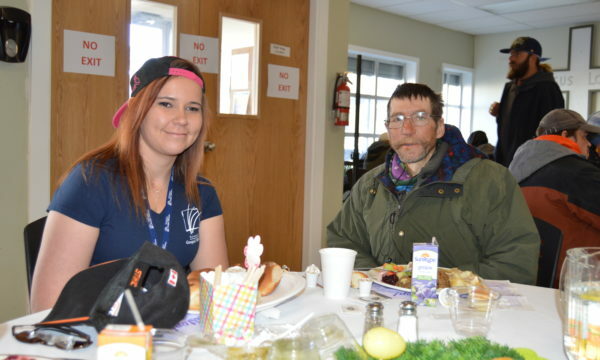 Kelowna's Gospel Mission will again open its doors for a free Easter dinner for anyone in need in the community. Dinner will be served in the Mission's dining room on Saturday from noon to 6 p.m.
"Everyone will be able to enjoy a traditional Easter meal of ham, turkey, mashed potatoes, vegetables, and all the fixings, followed by pie generously donated by the Bernard Avenue Safeway," the Mission said in a news release. 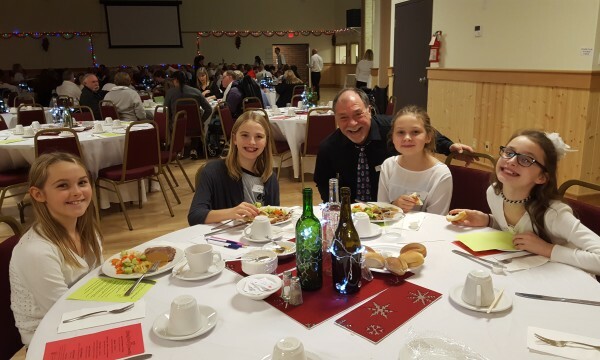 he 40th annual Christmas Dinner will be served at Kelowna’s Gospel Mission this Saturday. From noon to 6 p.m., the KGM will open it’s doors to those in need within our community, to feast on a hearty dinner with all the traditional Christmas fixings. 2% Realty Okanagan Ltd. invite your friends and family to join them for their 1st Annual Holiday Kick-Off! 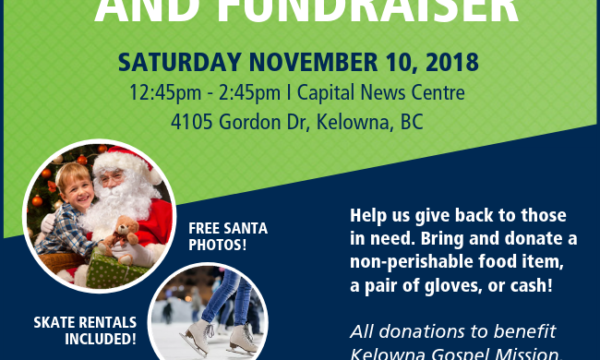 Join us for free skating, Santa photos and snacks at the Capital News Centre from 12:45 pm to 2:45 pm on Saturday, November 10th, 2018. They are collecting non-perishable food items, gloves and cash to benefit Kelowna's Gospel Mission. George Pierce has been clean and sober for 41 years, and off the streets for more than 20 years - but he still remembers his dark days like it was yesterday. Pierce, 70, and dozens of other volunteers gave up part of their holiday Monday to help feed, and comfort, those less fortunate than themselves. 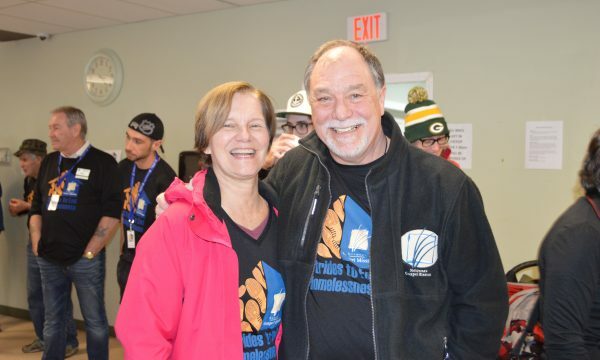 They were part of the team who will serve about 800 meals to the homeless and downtrodden at Kelowna's Gospel Mission. "I'm a skid-row survivor from Vancouver," Pierce says proudly. 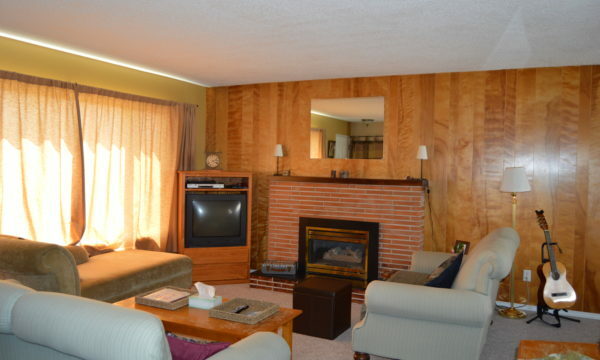 "I've been in Kelowna since 1977. I was 29 when I sobered up." The sound of businesses speaking up about the homelessness issue in Kelowna keeps getting louder, and it promises to be one of the primary talking points of the municipal election campaign leading up to Oct. 20. Kelowna’s Gospel Mission would like businesses to know they can do something about the issue before they head to the ballot box. They can get involved and sponsor a program that will aid in the fight against homelessness. 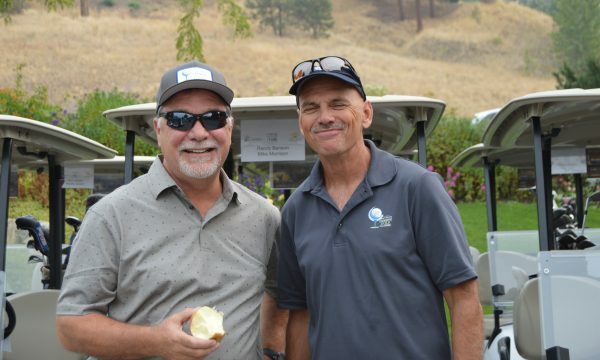 Kelowna’s Gospel Mission presented their third annual Charity Golf Classic on September 7th, 2018 at Sunset Ranch Golf & Country Club. Our goal was to raise $20,000 to help emergency shelter programs. We are excited to announce that we exceeded this goal and, with our golfers and sponsors help, raised $32,000! We are so grateful to our title sponsor, Source Office Furnishings and the following sponsors who supported our event. We could not have done it without you! 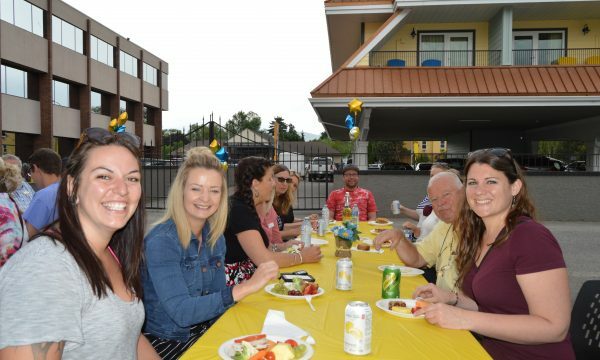 Non-profit and social service agencies working to help people who are homeless and struggling with addictions, mental health issues and unaffordable housing gathered at the Kelowna Gospel Mission Wednesday for the 8th annual Well Done BBQ. 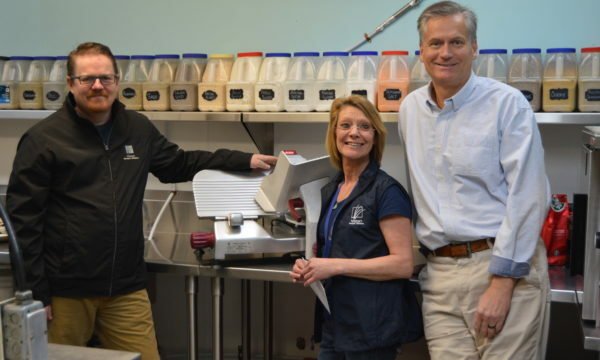 “We called people together to recognize that we do good work together and as a message to our community that as agencies, we’re not working in silos, we’re working together and it’s our collaboration and cooperation that brings us successes,” said Randy Benson, executive director of the Kelowna Gospel Mission. 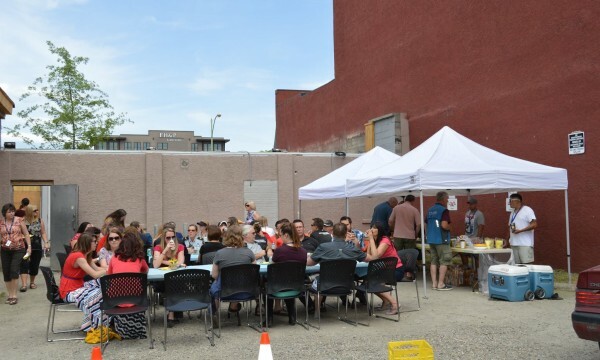 Local groups represented at the lunch included homeless shelters, housing providers, addiction resources, Interior Health, the Downtown Kelowna Association and the RCMP. Working together to bring services to people in need is essential to ensure good communication and collaboration and to prevent the duplicating of services, said Benson. Several volunteers spent their Saturday on the roof of the Kelowna Gospel Mission Saturday, helping save the shelter $1,000 per year in expenses. Crews from Okanagan Solar, along with Highstreet Ventures, spent the day installing a solar panel array on the building, worth about $20,000. The money saved through the free energy from the new system will be spent on providing services to the Mission's clients. “Look at the need in town, I mean, just helping to give back to the community,” said Rob Monteith, owner of Okanagan Solar. Monteith said the idea started last fall, when he was driving some of his suppliers down Leon Street. 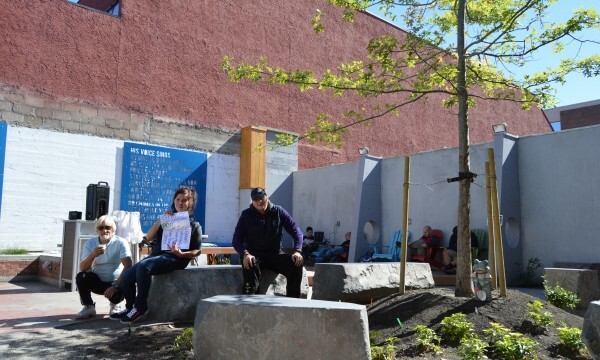 “There happened to be a couple hundred people in the street and I said to (the suppliers), 'If you guys have any extra materials that you want to donate, this would be a good place to see if we could help them out with some grid-type power,'” Monteith said. “And they all immediately said yes. 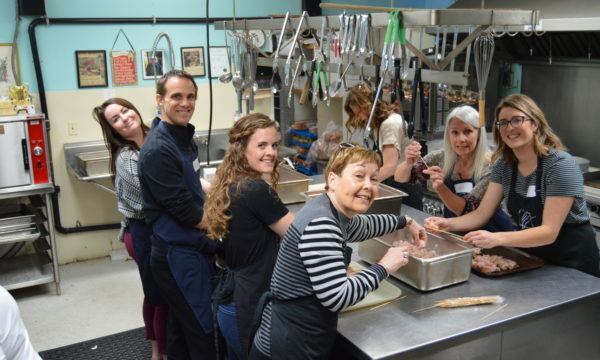 The Kelowna Gospel Mission has been holding their annual Easter dinner for more than 30 years, providing warm meals for those in the community who may not have a place to eat a family meal. On Saturday, 50 turkeys, 18 hams, 500 pounds of potatoes, eight cases of frozen vegetables, along with stuffing, gravy and pies to top it all off were served up at the Gospel Mission on Leon Avenue to an expected 900 people. “We like to have a family atmosphere,” said Randy Benson, executive director of the Gospel Mission. “It's a matter of making everybody feel like they have value, that we're all equal in our society and we're all deserving of that fellowship and that time together. 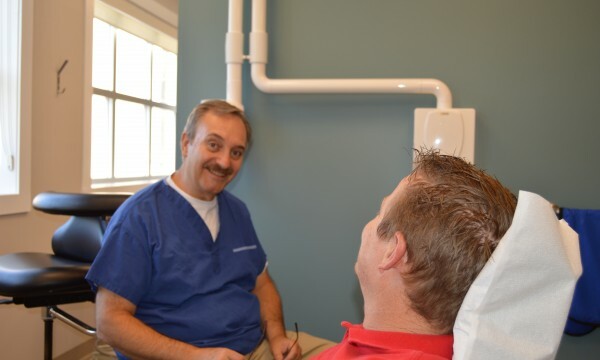 Chiropractors in Kelowna and West Kelowna have been volunteering for four years at Kelowna’s Gospel Mission. They come to the emergency shelter at 259 Leon Ave. every Wednesday afternoon at 12:30 p.m. to adjust anyone who can’t afford to visit a chiropractor. Harmony House is Kelowna's Gospel Mission's 13 bed women's transitional home. All of the homeless shelters in Kelowna are full and over capacity, causing a critical crisis in the city. 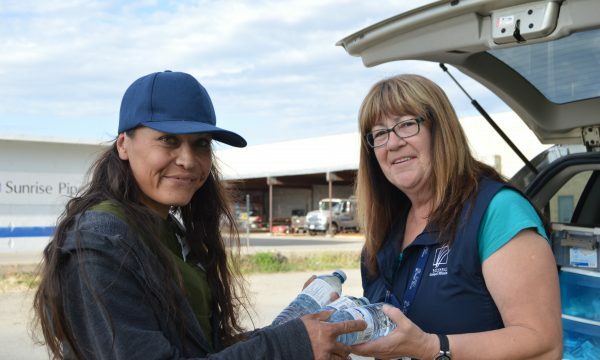 The Kelowna Gospel Mission was expecting half a dozen people when temperatures turned blustery last week, but more than they could handle showed up on their door steps. “We were asked if we could put a few mats down on the floor in our dining room,” said Randy Benson, executive director. Last Thursday night, 30 people showed up. Long before the weather turned cold, Kelowna’s three homeless shelters were operating at or over capacity, and the demand for shelter continues to grow. “The fact we’re entering our cold season with our shelters already at capacity is an indication of the great need that’s out there,” said Randy Benson, executive director of Kelowna’s Gospel Mission. 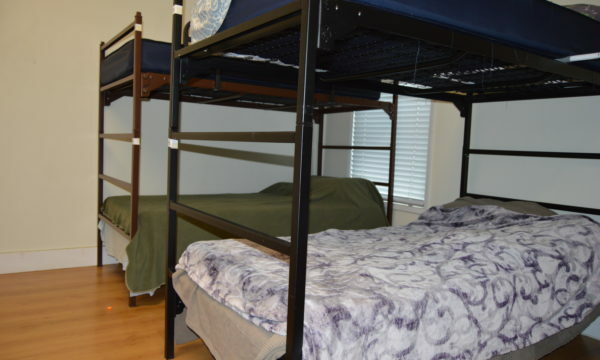 The Gospel Mission has 90 beds and is consistently full. “We’ve been really scrambling to try to figure out what we’re going to do,” said Benson. 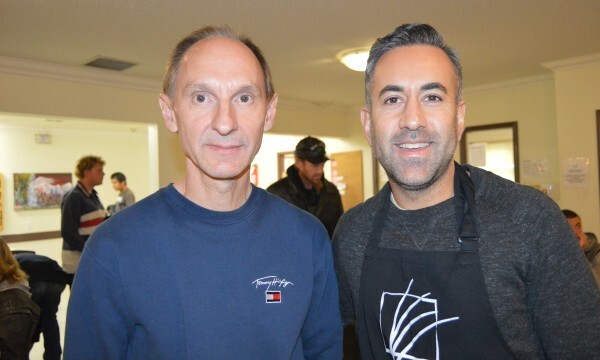 Kelowna’s Gospel Mission cooked 1,000 Thanksgiving dinners. 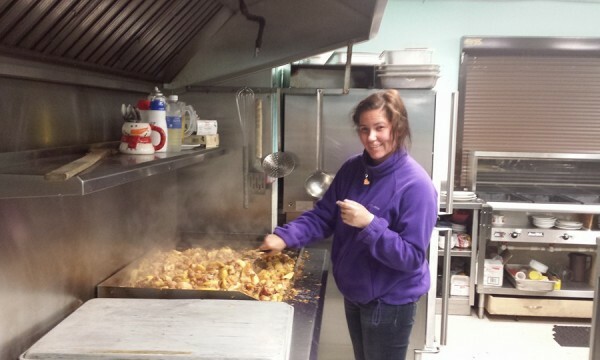 Over 50 volunteers have been preparing for the annual dinner for the past month. “Our cooks prepared 66 turkeys, 20 hams, 500 pounds of potatoes and of course along with that is all the dressing, vegetables and gravy. 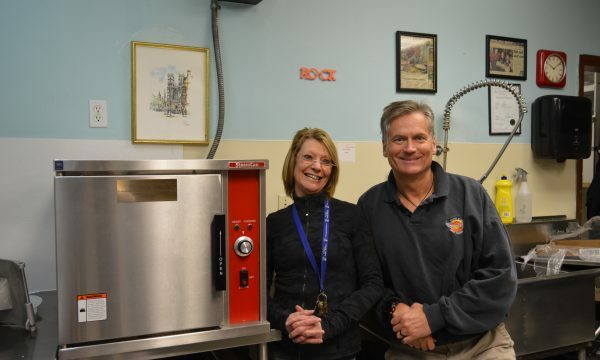 Lots of food preparation,” said Randy Benson, Executive Director of Kelowna’s Gospel Mission. Everyone was welcome to the dinner including people who stayed at the emergency shelter as well as anyone who is struggling to make ends meet. 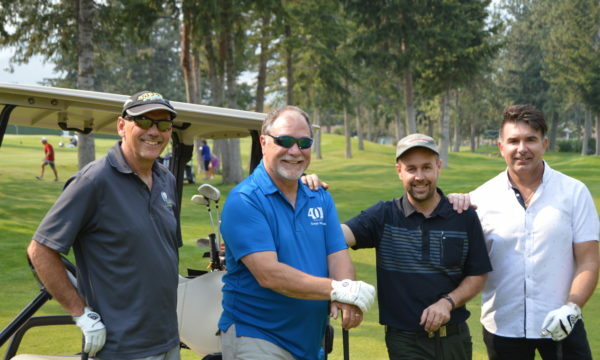 Kelowna’s Gospel Mission is hosting its second annual charity golf tournament Friday at Sunset Ranch Golf and Country Club. The goal of the tournament is to raise $20,000 for emergency shelter programs. Kelowna Gospel Mission thanked its volunteers and service partners for a job well done, Thursday. 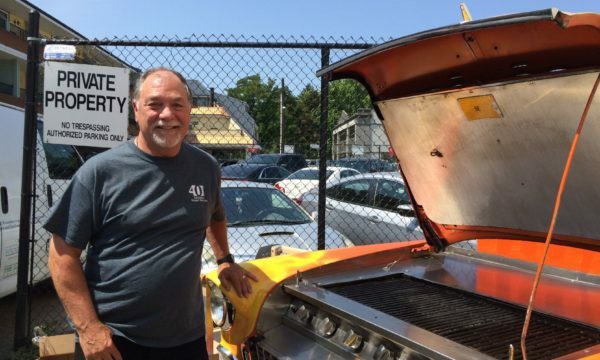 The mission held its annual Well Done Barbecue, serving up burgers at the Leon Avenue agency to those who help feed and shelter the homeless. 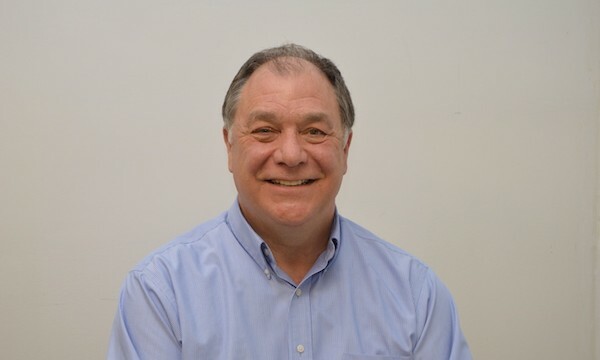 “This is our seventh annual ... and it’s a time to celebrate and get together with all the service providers and to recognize the good work that we do here in Kelowna," said executive director Randy Benson. 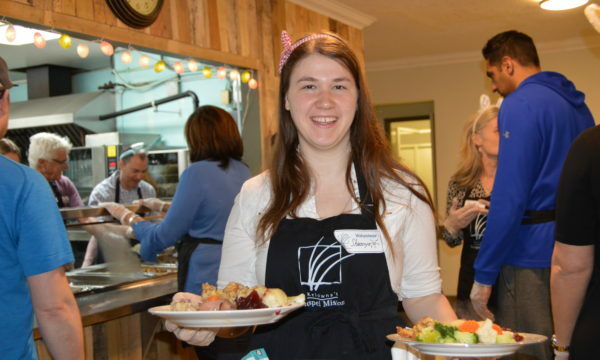 A delicious Easter dinner awaits at Kelowna's Gospel Mission. Volunteers have been busy preparing 50 turkeys, 300 pounds of potatoes and 21 hams that will be served on Saturday from Noon until 6:00 p.m.
"We strive every day to bring that hope, whether it is to homeless, the working poor or the seniors in need that we serve," said Randy Benson, executive director of the Gospel Mission. 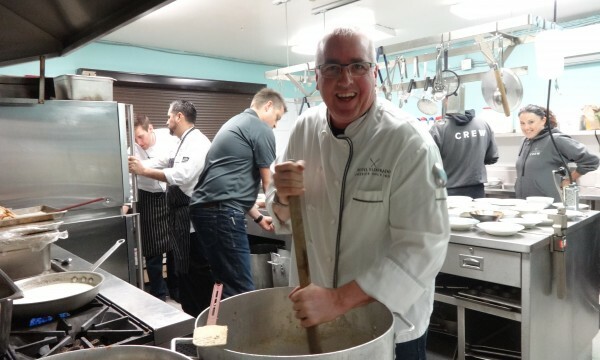 "These meals are so important for bringing people together in a family-like atmosphere and Kelowna is a family. 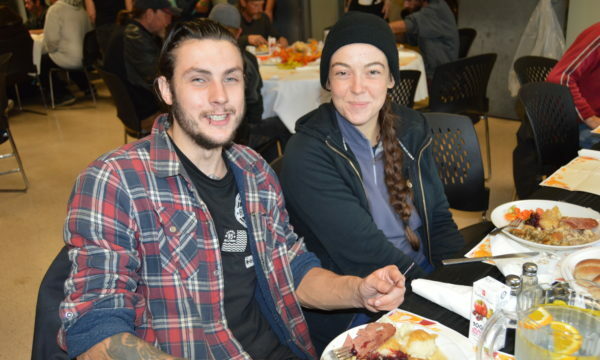 With the help of Kelowna Gospel Mission, he’s been clean and off the streets. 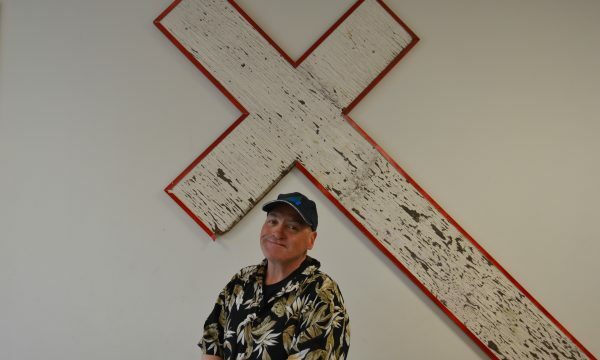 Now, this is his second year volunteering at the mission’s Stride to End Homelessness. He volunteers at the mission almost every week, he said. “I came here and the staff saved my life so I keep on coming back,” said O’Brien. 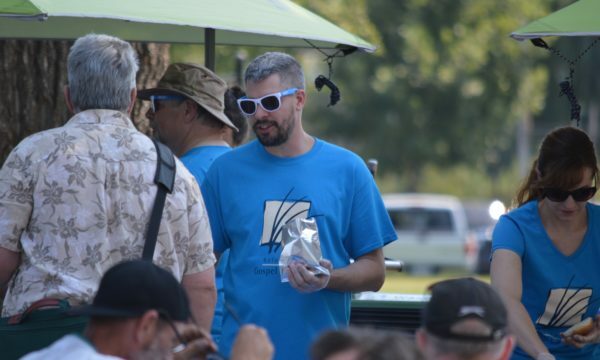 He volunteers at the event to meet new people and bring awareness to the community, he said. Many people shiver and complain going from their warm home to their car in the morning. But, what about the homeless, who have nowhere to go to escape the frigid temperatures? 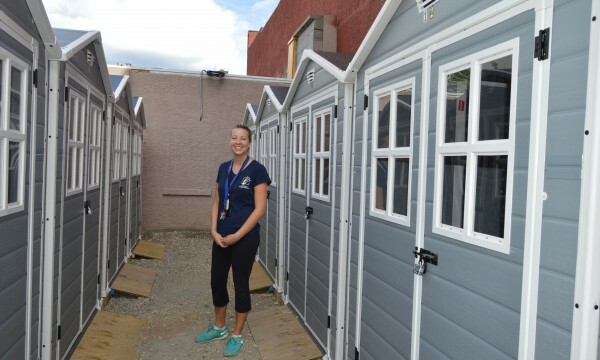 The Homeless Hub recently researched how many people call the streets of Kelowna home. In 2016, they came out with a study that determined 279 individuals are estimated to be living on the streets, and 164 are living in homeless shelters. 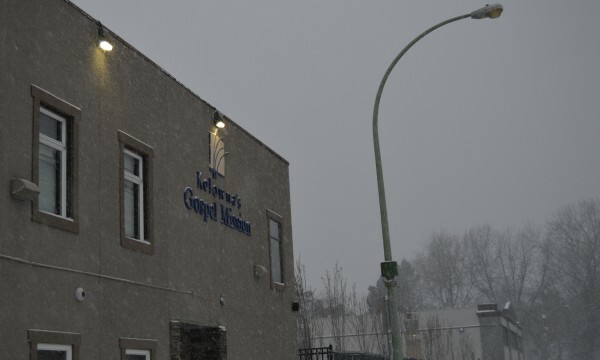 During this cold snap, Kelowna's Gospel Mission is open all hours of the day to make sure the homeless keep warm. The same is true of Kelowna’s Gospel Mission. Drive down the 200 block of Leon Avenue and you may well see a handful of people standing or sitting around on either side of the street. To too many people in Kelowna, that IS Kelowna’s Gospel Mission. But nothing could be further from the truth. Inside the walls is a totally different story. The average number of people we serve in a day is around 200. Of those, 33 per cent have a place to live and use our services of food and support in order to remain housed. Fifty per cent of the people that come through our doors have an active case plan and are working with a case worker to achieve independence and self-sustenance. 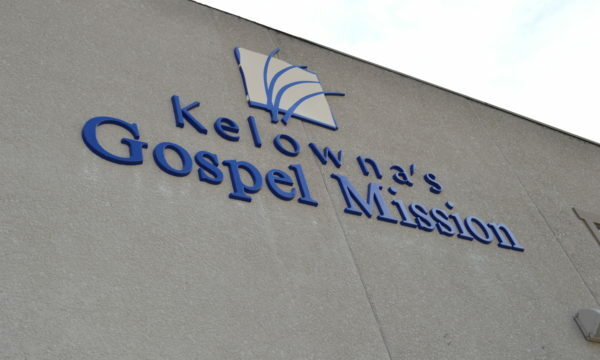 KELOWNA - Kelowna’s Gospel Mission will serve their annual Christmas Dinner to anyone in the community from noon to 6 p.m. on Saturday, Dec. 17 at 259 Leon Ave.
With the help of community support, Kelowna’s Gospel Mission expects to serve close to 700 Christmas meals on Saturday. 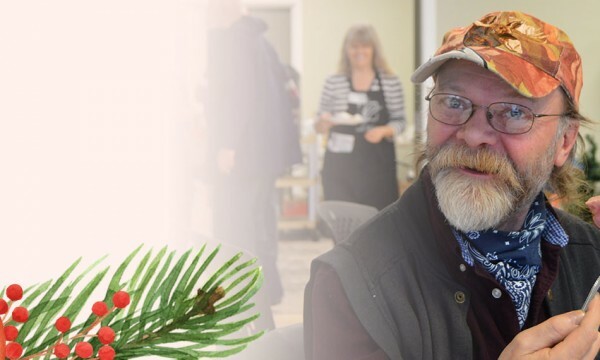 People from all over the Central Okanagan, including many seniors and families, will come to enjoy our traditional Christmas meal of turkey with stuffing, ham, mashed potatoes, vegetables, cranberry sauce, rolls and pie. 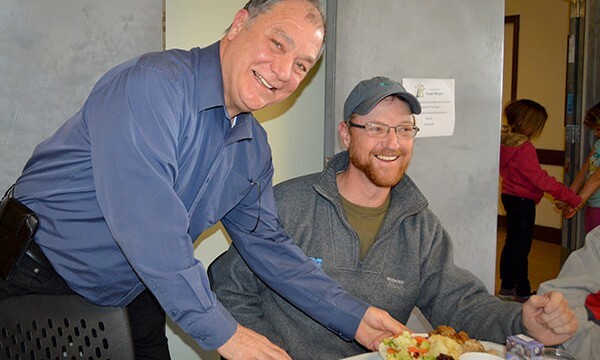 Local restaurants will treat clients of the Gospel Mission in downtown Kelowna to gourmet meals over the next several weeks. The restaurants will bring chefs, staff and food to the mission, and cook up meals for more than 200 people. Christmas in our Community is the second annual event sponsored by Kelowna’s Gospel Mission and Powers Creek Community Church, to help bring Christmas to West Kelowna’s friends and neighbours. It is being held at Westbank Lions Community Centre, 2466 Main Street, West Kelowna, beginning at 5:30pm on Saturday, November 26, 2016. At this stage of her life, the Kelowna Gospel Mission is home for Sheyanne Smith. 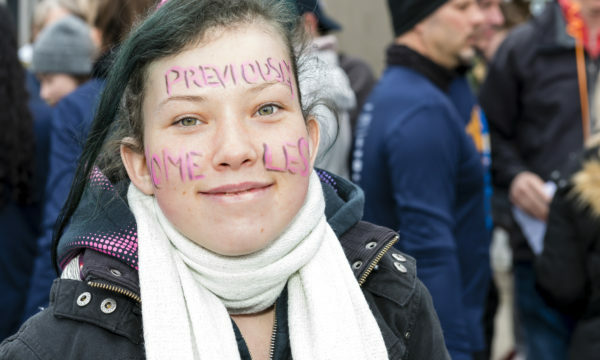 She has been living at the emergency shelter since January when her family lost the home that she, her mom, brother and mom's boyfriend were living in. Living at the Gospel Mission until she can find another form of housing, Sheyanne has volunteered there every day on an average of 10 to 12 hours a day, sometimes more. 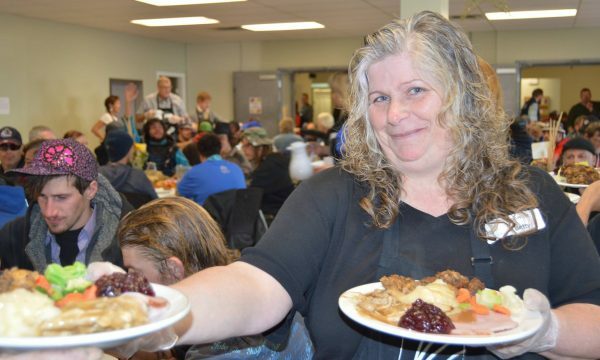 It’s traditionally the Kelowna Gospel Mission’s biggest meal, but this Thanksgiving the need is even greater with homeless numbers in the city reaching staggering highs. Kelowna’s Gospel Mission courtyard is officially open for use. Leon Avenue has often been cluttered with the personal belongings of those served by the Gospel Mission – causing complaints about the eyesore. Randy Benson with the Gospel Mission says there was no place for clients to wait for services outside except the sidewalk, but that has changed. The Kelowna Gospel Mission has partnered with outside agencies to help solve the issue of clutter and congestion along Leon Avenue. 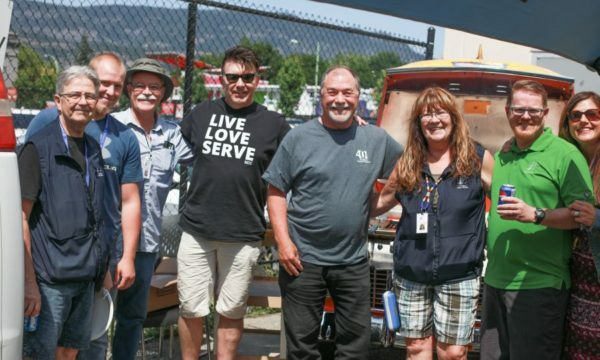 Kelowna’s Gospel Mission applauds community partners with barbecue! 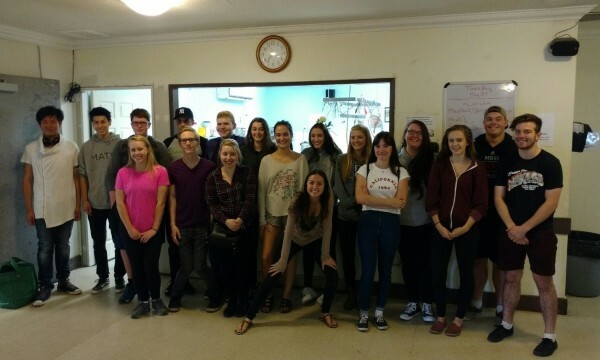 KELOWNA – From cooking up soup and hot dogs for lunch, to offering donated toiletries and clothing, a group of grade 12 students from Mount Boucherie Secondary are spending some of their final days in high school getting to know Kelowna’s homeless population.